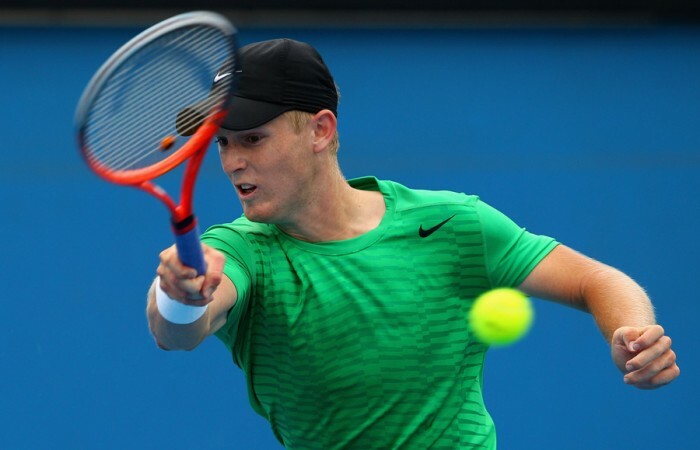 Top seed Luke Saville has marched a step closer to his first Australian Open junior title with a scrappy win in the quarterfinals at Melbourne Park. Luke Saville is another match closer to claiming a dream title in the Australian Open Junior Boys’ tournament. 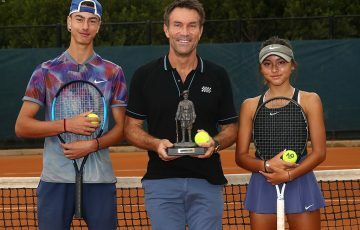 The 17-year-old Kingston native withstood a stiff challenge from No.7 Kyle Edmund on Australia Day at Melbourne Park, the No.1 seed winning 7-5 7-5. Saville was a finalist here a year ago after a stunning run, but he’d like to go one match further in his final year of junior competition. 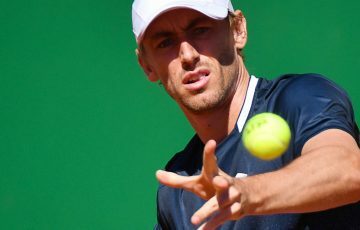 Saville was the ultimate winner at the Boys’ competition at Wimbledon last year where he ran through the draw, beating Brit Liam Broady in the final. 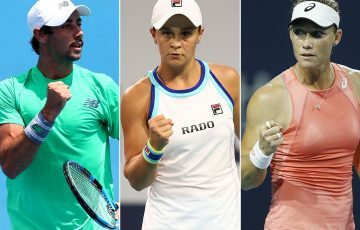 On Margaret Court Arena Thursday, Saville led by a break in both the first and second sets only to see those leads evaporate. With Great Britain’s Edmund serving at 5-6 in the first set, Saville capitalized on his third set point by knocking down a backhand drop volley winner. 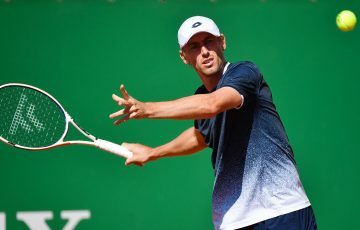 To close the one-hour, 46-minute match, Saville blasted his 23rd winner – a forehand that kissed the baseline – to secure his sixth break of the match and a spot in the semifinals. It’s there that Saville will take on No.10 Adam Pavlasek of the Czech Republic. Pavlasek beat No.4 Kaichi Uchida of Japan, 6-3 6-3. 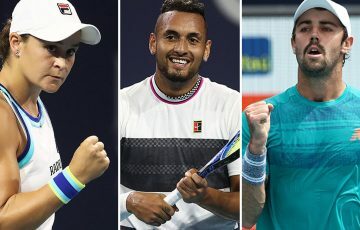 The two boys have a storied past in big tournaments: Saville beat the Czech here in the first round a year ago only to be repaid the favour in the opening round of the US Open a few months ago. On the bottom half of the draw unseeded Filip Peliwo advanced with a 6-3 6-2 win over Joshua Ward-Hibbart of Great Britain. 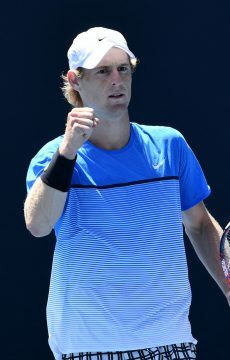 Peliwo will face American qualifier Mackenzie McDonald who stormed back from 0-6 0-4 down to beat Czech Robin Stanek 0-6 6-4 6-2 in a stunning performance. In girls’ action it was a solid day for the American contingent as No.14 seed Taylor Townsend came through a trying match with No.12 Sabina Sharipova 6-3 2-6 6-4 in one hour, 55 minutes. 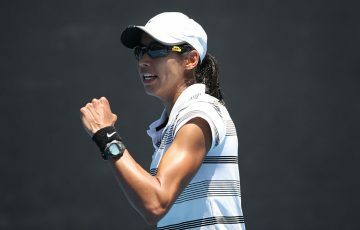 Townsend will face fellow American Krista Hardebeck, who produced a stunning win over No.1 Irina Khromacheva of Russia. The 17-year-old beat the Wimbledon junior finalist 6-3 6-3 in their first-ever meeting. Opposite the Americans in the draw, No.4 Yulia Putintseva has held her seeding by beating Barbora Krecjikova. The Russian took care of things in straight sets over the Czech, 6-2 6-3. 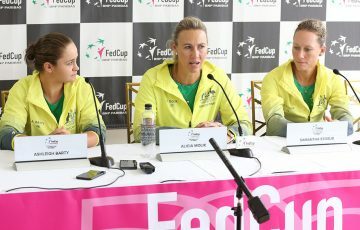 She’ll take on Canadian Eugenie Bouchard, the tournament’s highest-remaining seed at No.2. Bouchard swept aside Risa Ozaki of Japan, 6-4 6-3 in the quarterfinals.